Damn, this wasn't the type of loco I was expecting! 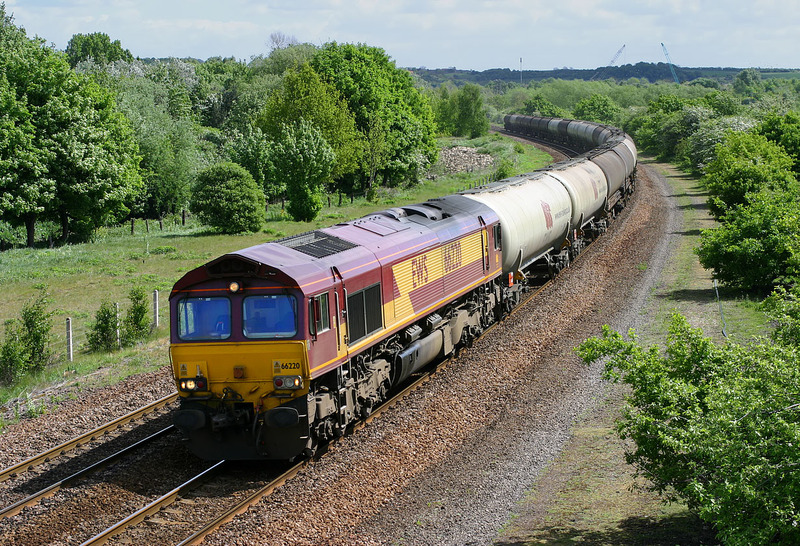 In lieu of the expected Class 60, 66220 rounds the corner at Old Denaby on 10 May 2007 with the 6M55 09:50 Lindsey to Rectory Junction oil tanks. Never mind, harsh lighting and sun not on the front!